We all know that we should be eating more green vegetables in order to achieve optimal health. Eating fresh vegetables is good for the health of our internal organs and of our skin. But the vast majority of us don’t do this because we don’t like the taste, or the texture – (or both) of ‘greens’ dished up as cooked vegetables at meal times. Here are two creative ways you could use your smoothie maker to boost your intake of green leafy vegetables in particular – and fruits and vegetables generally. You will find the recipes for green smoothies and blended salads simple to make, delicious to eat and will have a really beneficial effect on your health. Make your own green smoothies. Green smoothies are really delicious and so easy to make that you will wonder why you never tried them before! Here are a couple of recipes to get you started. You can scale up the quantities depending on how servings you want to make and store any extra surplus mixture in the fridge in a covered container for several hours so you can enjoy it later in the day. This is a simple one step recipe which is ready in no time. First peel an orange and peel, quarter and core three eating apples. Add these to your blender with two bananas peeled and cut into large chunks and two cups of fresh baby spinach leaves. This recipe is varied to taste by adding either half a cucumber (chopped into chunks) or a large cup of grated carrot. Whizz everything together and add a little more liquid if required once everything is smooth. Romaine SmoothieThis recipe is so easy to make, just mix a cup of strawberries, two bananas cut into chunks and around half a cup of water or juice together. 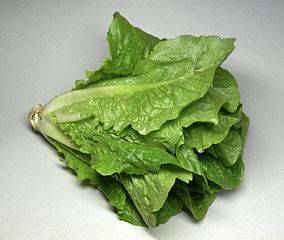 Blend until smooth before adding a good handful of Romaine lettuce leaves blend again until smooth. If the smoothie still seems a little thick at this point, you may want to add a little more water or juice. 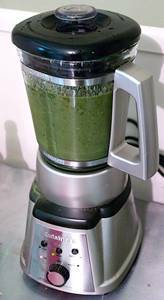 Check our review of our favorite four Green Smoothies Recipe Bookshere. Find out more about cleansing and detoxing your body here. It is an easy transition, once you have started making and enjoying green smoothies, to start making your own blended salads which basically are a raw vegetable soup which is thick, rich and satisfying, savory rather than sweet (as in fruit smoothies). These are absolutely packed full of nutritional goodness and make a speedy lunch with a chunk of granary bread or some rice cakes. It is easy to make them and create your own favorite taste with the addition of creamy avocados, garden herbs or culinary spices. Another benefit of blended salads is that they are very healing on the digestive tract and if you have any kind of digestive problems, they are worth trying but definitely introduce them gradually, as if you do not normally eat much (or any) raw food, it would be unwise to start consuming large quantities right off – because of the high fiber content (need I say more!). Have fun mixing up your favorite combinations. Choose a fairly ‘watery’ vegetable as your base – tomatoes, zucchini, cucumber or avocado are good choices. Blend your base ingredient(s) thoroughly and then add other ingredients to taste. A mixture of leafy greens and some salad roots such as carrots or beets, maybe some salad onions too and celery makes a wonderful addition. Season with fresh garden herbs if you have them or a teaspoon of dried herbs steeped in a tablespoon of very hot water for a few moments to soften before adding to the mix. Once everything is blended together, you can add a little water if it is too thick and check the seasoning again. Top Tip – it is very important to rotate the greens in our diet and not to get hung up on one particular type just because we love the taste! There is a very important health reason for this which is beautifully explained in this article, the Importance of Rotating Greens on the Raw Family Blog – check it out, using the link provided! Which Smoothie Maker Best Suits Your Needs? Smoothies for One? Check out the Back to Basics SE3000 Smoothie Express review– it could be just what you are looking for at a great price! Looking for a family sized machine? Check our review of the Oster 8 Speed Blender which was rated as a best buy by Consumer Reports and which we highly recommend too. As I said at the get go in this article, we all know that we should be eating more greens – but you will find it is counter-productive to start forcing yourself to eat more green and raw ingredients before your body is ready. Just try introducing a green smoothie as a snack two or three times a week to start with. Then maybe add in a green salad for lunch one day a week. As you slowly start to introduce your body to this cleaner, fresher way of eating, without overburdening it with too big a change, too quickly, you will find that you are actually craving more of these delicious green smoothies and salads recipes and you will be on the path to a healthier and more slim-line you with better skin and more energy.